This edition we’re taking a look at the spectacular coastal areas of the far north: the places, the communities and the threats. These coastal areas are home to many of us, and are a vital aspect of life in the far north. But these areas – marine, estuarine and terrestrial – are under increasing pressure. We already see on the tropical coast disturbances and damage resulting from population growth, urban expansion, industrialisation of the coastline, decreasing water quality and polluting land use practises to name a few. Read on to find out more about some special coastal areas and opportunities for looking after our coastline. But first a short update on our work over the past few months. The action in Cairns as part of the GetUp! National day of action on climate change was a huge success. 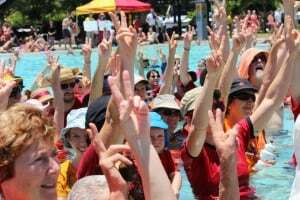 Around 400 people wearing bright hot shades of red and orange gathered on the Esplanade to be part of the nation-wide demand for stronger action to address climate change. The colourful crowd walked into the lagoon to signify what will happen if we continue business as usual, allowing global temperatures to increase by more than 2°C. Around 60,000 Australians took to the streets in their cities and towns on the day to send this message. 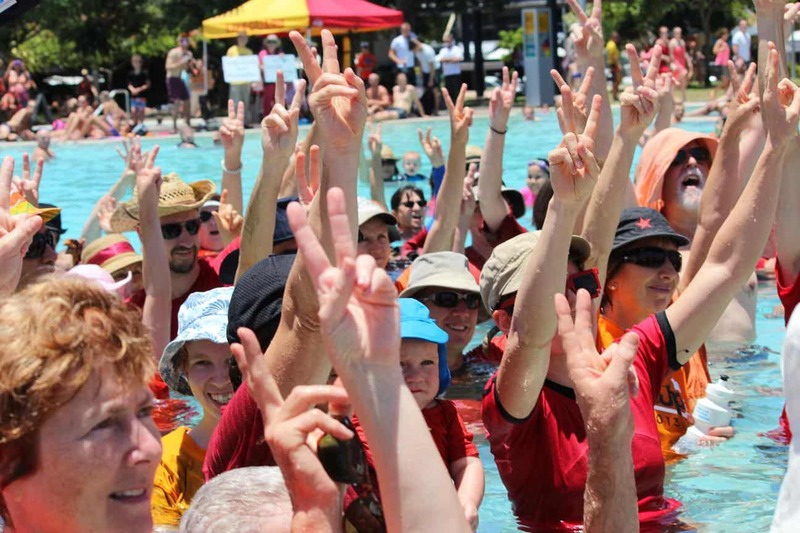 Thanks to everyone who came along in Cairns to be part of this great event, and to GetUp Cairns for their organising. CAFNEC hosted a regional roundtable of environment groups in Cairns on November 9th. Around 30 representatives of local and national environment organisations gathered to discuss the future of conservation and sustainability in the far north and across Queensland. This was a really valuable opportunity to hear from groups in the region about their work and the challenges they face, and to discuss opportunities for more collaboration and working together to present a stronger voice on environment issues. This was a productive gathering and we look forward to making some improvements to encourage more collaboration between the groups and better outcomes for our environment. We met with Environment Minister Andrew Powell and Premier Newman’s advisor in Brisbane in October to present CAFNEC’s petition for a state-wide ban on plastic shopping bags. We presented the petition and outlined community concerns in our region about the impacts of plastic pollution on marine life and the costs of this pollution to communities through beach clean-ups, marine wildlife rehabilitation and damage to our tourism image. We will continue to advocate for a state-wide ban on plastic bags and encourage you to write an email or a letter to Premier Newman in support of a state-wide ban. You can also sign our petition on our website. There are now a series of commercials on TV regarding Council’s planned dispersal of the flying fox colony at Cairns library. These commercials, which you can also view on our website (www.cafnec.org.au), were produced by a committed group of local residents. They address some of the misinformation regarding health risks and likely outcomes of the dispersal, and direct people to our website to sign our petition to Mayor Manning. If you feel strongly about this issue, please take a moment to call Mayor Manning on 4044 3083 to ask him to leave the colony where it is. 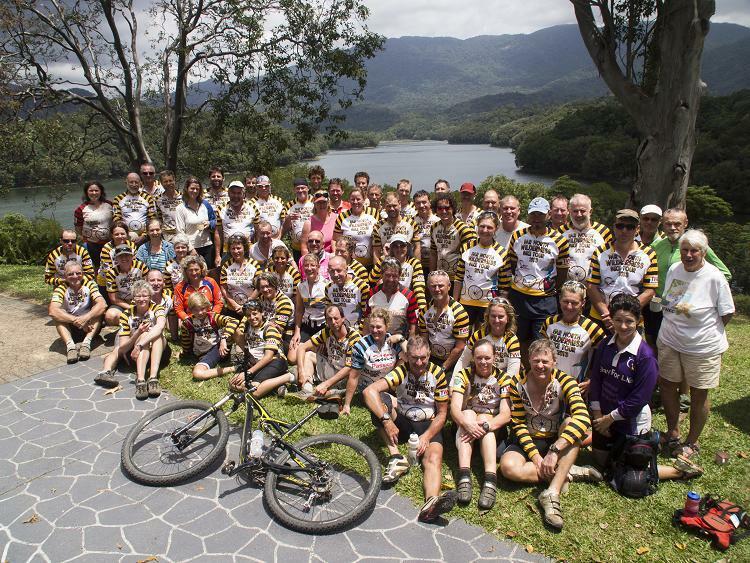 Thanks to the efforts of an amazing team of volunteers, the 2013 Far North Wilderness Bike Tour was once again a major success. This event, organised entirely by volunteers, is a major fundraiser for our organisation, as well as being an intense, fun and spectacular cycling adventure for participants. The route explores some of the grandest landscapes in the region over an eight day ride and is a great way to showcase the natural beauty of the area. A very sincere thanks to all who were involved in making this year’s ride a success – as always an incredible effort from all of the volunteers and one that helps to keep our organisation running. Finally, a thank you also to the many volunteers, members and supporters who assisted us throughout 2013. Thanks to your efforts we have had yet another busy and productive year at CAFNEC and we look forward to your involvement in 2014.